Don’t just FLY, SOAR high! The feeling of being weightless at the top. Catching speed on the way down. Wind soaring through your hair. You just can’t help but smile and thoroughly enjoy the moment. 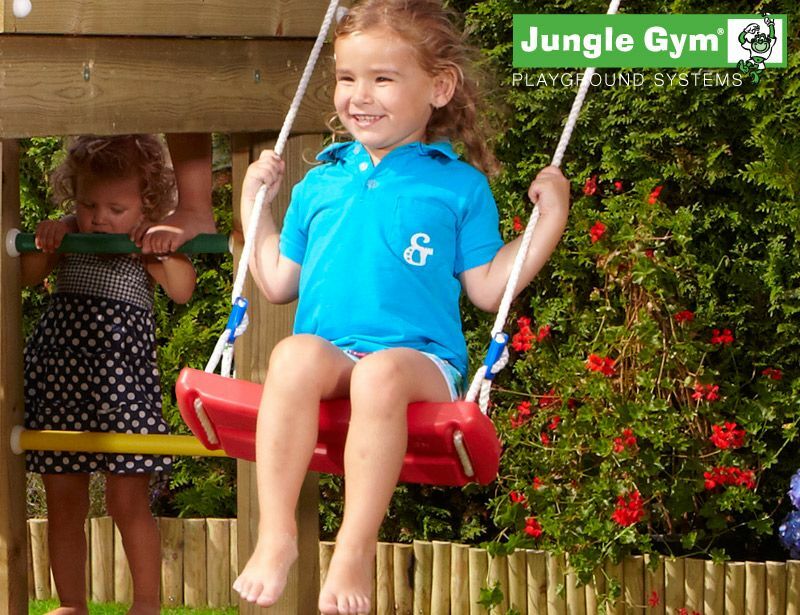 Swings are all children’s favourite and an excellent source of active enjoyment. 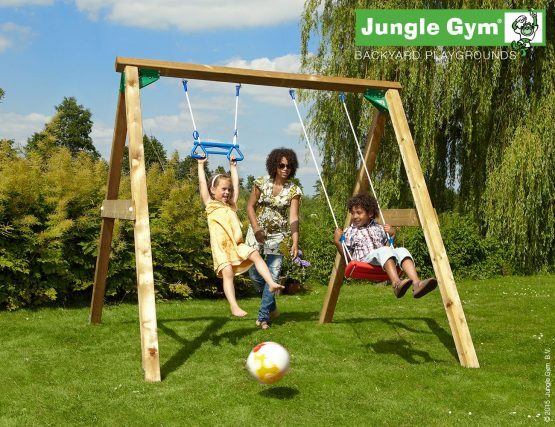 Children love to spend hours at this activity and this Double Swing Set is an exciting addition to your garden. It will transform your garden immediately into the perfect Outdoor Play Area for your little adventurers. Kids too impatient to take turns? 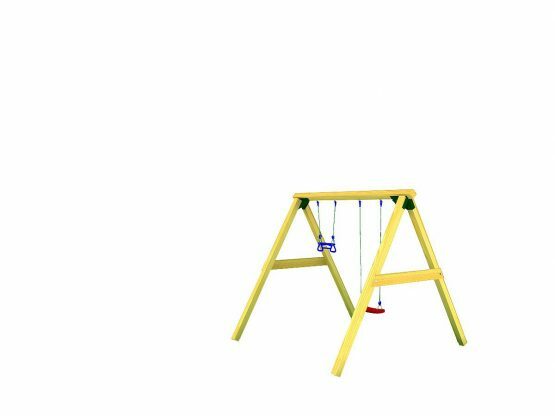 This Jungle Gym Double Swing Set provides space for two kids (up to 50kg), and adds novelty to a traditional swing with its colourful monkey bar. 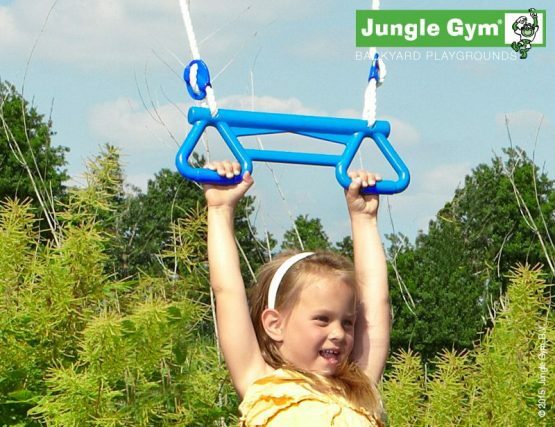 It helps to develop coordination and dexterity, as well as strengthening the arm and leg muscles. The activity of swinging improves balance and coordination, in addition swing sets encourage children to establish and maintain dynamic movement. Learning how to swing is actually more difficult than we think, at the age of 4 your child will be able to comfortably swing independently, before that time they need close supervision and guidance. This product not entirely what you are looking for? Didn’t get a chance yet to download our brochure? 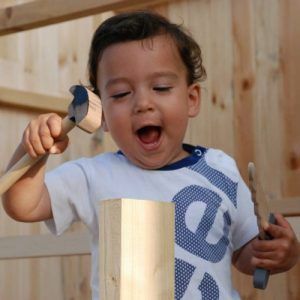 It contains our full range of outdoor play equipment, including playhouses, climbing frames and more. Get it here.